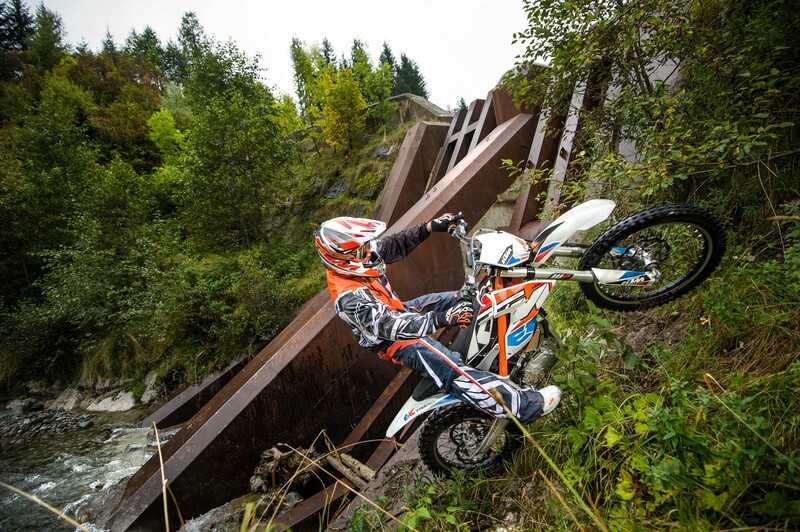 KTM is bringing its Freeride E-XC electric motorcycle to the U.S. in an initial pilot program. 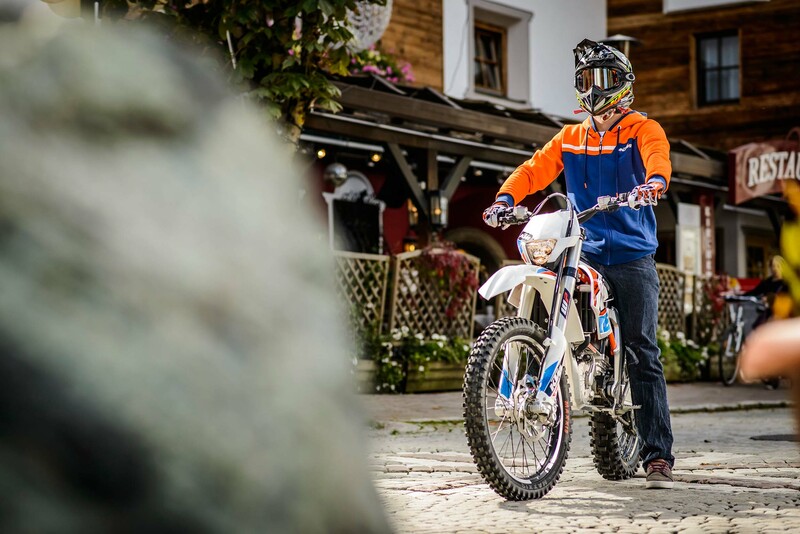 The E-XC enduro, along with its off-road-only X-SX sibling, have been available in Europe since 2015, and KTM is now ready to bring its electric motorcycle technology to North America. For the pilot program, the Freeride E-XC will only be available in limited quantities at 11 dealerships across the country, each undergoing the required certification for KTM’s high voltage technical training program so they can service these electric bikes. The Freeride E-XC will be priced at $8,299; by comparison, the gas-powered KTM Freeride 250R dirtbike is priced at $7,999. The seat lifts up to allow access to the powerpack. In its lowered position, the seat is 35.4 inches from the ground, with thicker padding towards the rear. 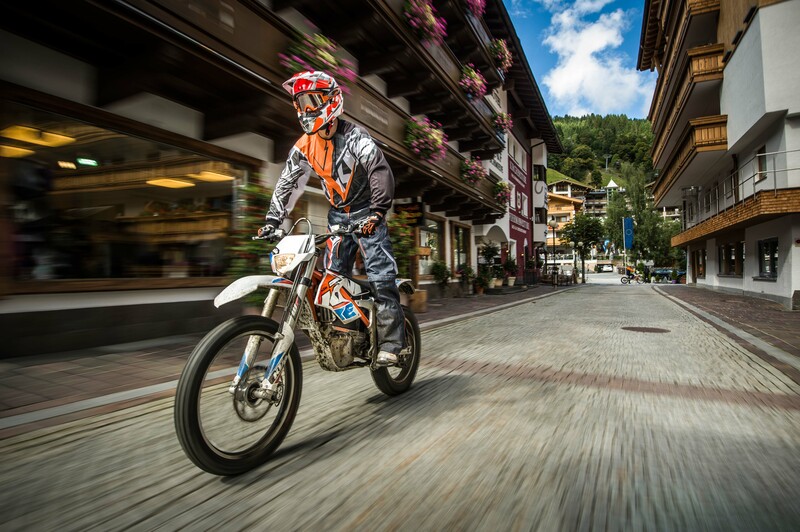 The Freeride E-XC is powered by a permanent magnet synchronous electric motor claiming 21.5 hp and 31.0 ft-lb. of torque. Like most electrics, there’s no gearbox, so you have just the single speed. The E-XC’s water-cooled ECU does offer three ride modes: Economy, Standard and Advanced. 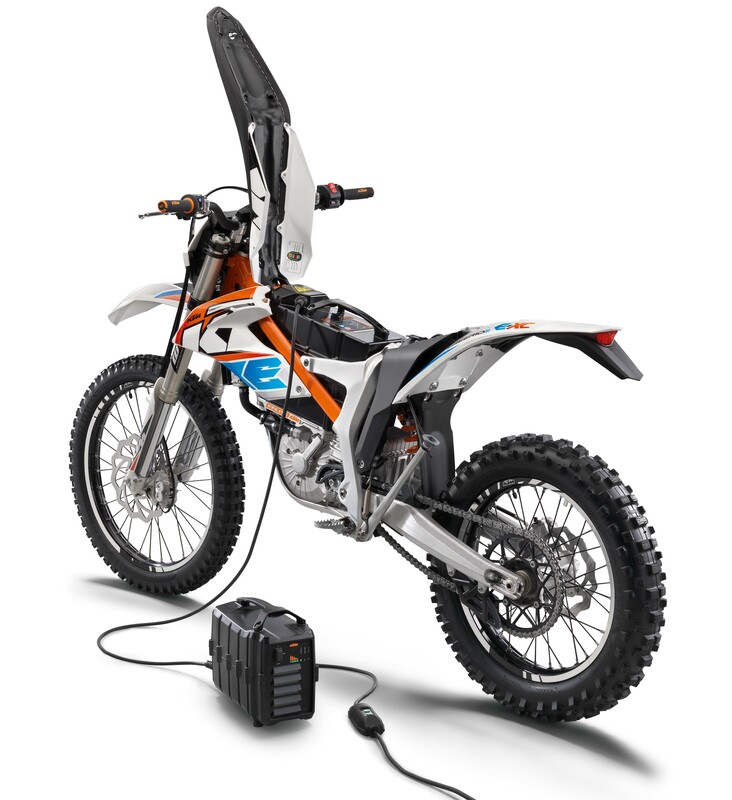 The motor is powered by a removable 260V, 2.6 kWh lithium-ion powerpack that KTM claims can receive a full charge in 80 minutes and an 80% charge in 50 minutes. The electric powertrain is mounted to a modified version of the Freeride 250R’s lightweight composite frame. On the E-XC, the frame is open at the bottom with the motor acting as a load-bearing element. Suspension is provided by a 43mm WP upside-down fork with CNC-machined triple clamps and 9.8 inches of travel and a WP PDS rear shock offering adjustable rebound and compression damping and 10.2 inches of travel. The 21-inch wire-spoke front wheel is equipped with a single 260mm brake disc and four-piston caliper while the 18-inch rear wheel is paired with a two-piston caliper and 230 mm rotor. With no need for a clutch lever, the rear brake is controlled by the left clutch lever instead of a brake pedal. Maxxis supplies the TrialMaxx 2.75-21 front and MaxxEnduro 120/90-18 rear tires. Moto City KTM in Avondale, Ariz.
3 Bros KTM of Orange County in Costa Mesa, Calif.
CJ KTM of Murrieta in Murrieta, Calif.
KTM of Roseville in Roseville, Calif.
Malcolm Smith Motorsports in Riverside, Calif.
Elite Motorsports KTM in Loveland, Colo.
Larsons Cycle in Cambridge, Minn.
Edelman’s KTM in Troy, N.Y. Solid Performance KTM in Downingtown, Penn.